Series of geo-targeted memes created in collaboration with local photographers to show off the stunning design of the Ford Fusion. Just ahead of Mother's Day, Ford asked kids to describe what features their Mom's dream car might have. With imaginations running wild, the kids relayed their concepts and illustrators brought the fantasy cars to life. An underwater view of the Bahamas for #MothersDay? This kid got it right. Would your mom’s #dreamcar be a time machine? With rocket boosters, of course. Happy #MothersDay! 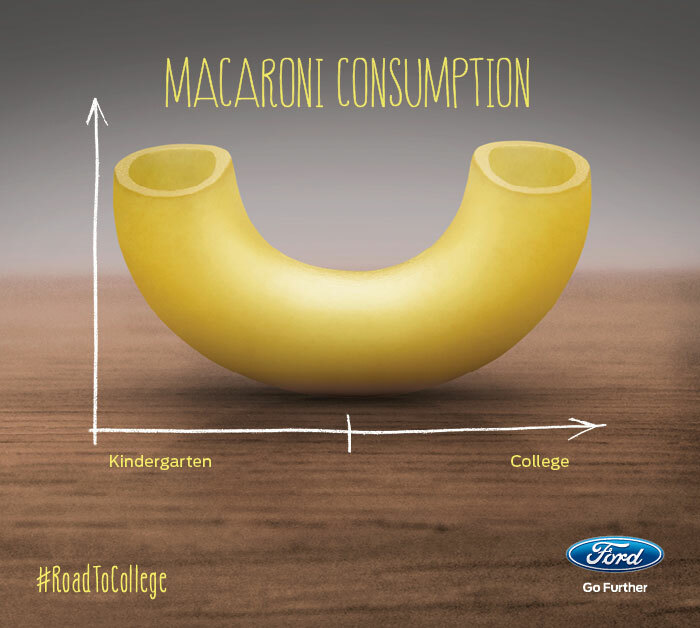 Series of Back To School Infographics distributed through social and paid media. Design of the Ford Trucks and Commercial Truck YouTube pages. For the F-150 Built Tough Test campaign we designed a unique way to feature videos in which consumers were challenged to put the all-new aluminum body F-150 to the test. 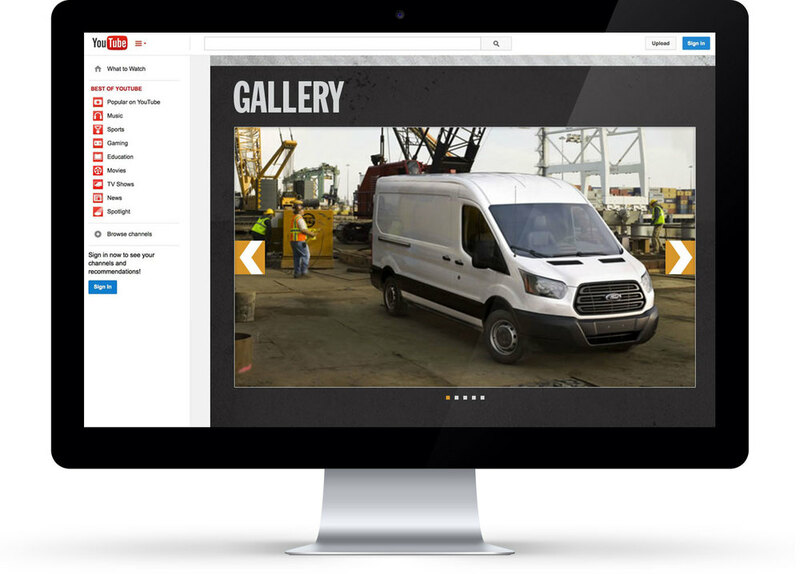 For the Ford Transit, we created a page to house videos directed by Christopher Guest illustrating the various features of the new Transit. Vine Video featuring the U by Kotex Sleek Tampon's No Slip Grip technology and wishing followers a happy Valentine's Day. Icon set created to promote events hosted by the student activities department and posted on the Washtenaw Community College Facebook page.